Unique and funtastic! This wooden carving product is one of beautiful handmade craft which present in different model. This is our new product named Thai Horse piece. The horse has the common horse virtue but has a shape as Thai temple. It has pointed ears and and beautiful hair crafting. 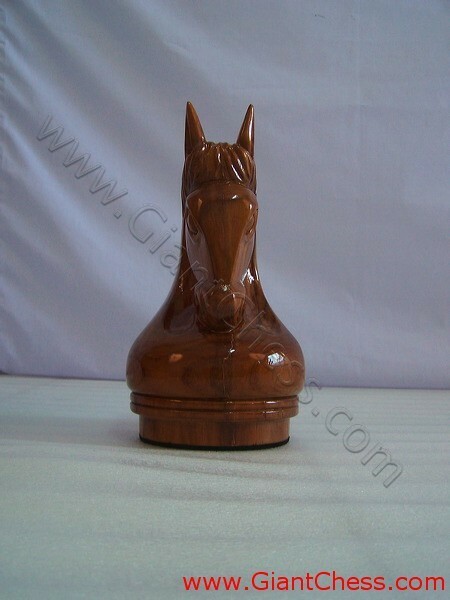 As decorative chess piece, this Thai Horse is perfect also for decoration use. You can put it on your living room table, library, dinning room, office, school, etc. It also perfect for outdoor decoration because this handmade product is durable. It made from best quality of Teak wood. Find also the others Thai chess pieces.